If you love your classic boat shoes, but need a pair that goes the extra mile, you're in luck. 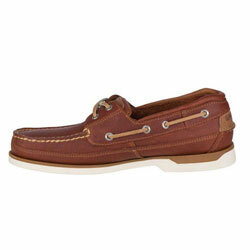 This rugged leather pair has been enhanced for comfort and support with a padded tongue and shock-absorbing heel cup. They're so comfortable you'll think you're wearing sneakers (but these are so much more dapper).